Posted By:Unknown | At:10:12 AM Be the first to comment! Every time I get paid, my alma mater (Florida A&M University) gets paid. I don't say that to brag, but I say it to let you know I put my money where my mouth is. 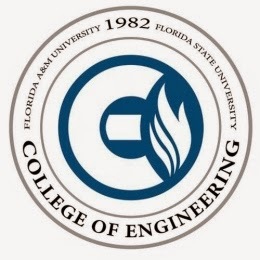 Many of us familiar with the contentious history between FAMU and Florida State are not the least bit surprise by the shocking move the Florida state senate took to break up the joint engineering college shared by FAMU and FSU. This move ,that was crafted by Sen. John Thrasher (R), was very reminiscent of how FAMU lost its law school in 1965. It just goes to show the more things change the more they stay the same. I want this to serve as a wake-up call for all the alumni out there that attended an HBCU. We need to understand why its important that we continue to give back and support our alma maters on a continuous basis. You don't have to give great sums of money (trust me, any little bit will help), but you need to make it a conscious effort to support the institution that allowed you to be where you are today. We love to brag about how much we love our schools, but how many of us show that love through financial gifts? We have to do better people. Many are saying that the break up of this merger means the end of the engineering program for FAMU. FAMU shouldn't have to be reliant upon FSU in order to maintain its engineering college. There is enough successful alumni out in the world that should be able to sustain the school. At what point will we begin to understand this?